As a former pupil of Bay House Grammar School, this page is of particular interest to me, being one of only three pupils who passed the 1960 11 plus from St. John's C of E school, Forton road, next door to the Church where I also sang in the choir. Moving from a tiny informal primary school to the rarefied environment of Bay House had a lasting effect on my life. I can always remember Mr. Walker addressing us new boys and admonishing us to maintain a standard worthy of such a school. Although I left at fifteen without taking a single GSE, the education I received was invaluable. I am indebted to Dave Mack, whose website www.bayhouseschool.co.uk provided the content for this page. If you are an ex pupil, his site is a must. It certainly brought back memories for me. In 1838, a map from the Public Records Office, Kew, shows the state of Ordnance Lands to the west & south of Alverstoke in 1820. These lands had become redundant with the cessation of hostilities with the French in 1815 (Waterloo) and were being considered for sale. 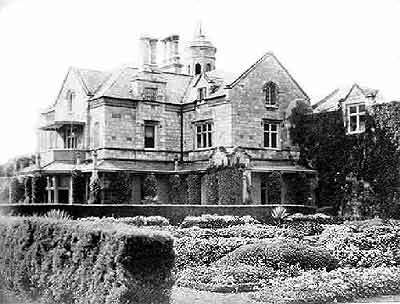 The story of Bay House begins when Alexander Baring, later Lord Ashburton, built the house that now forms the heart of the school on some of this land. He instructed one Decimus Burton, a notable architect of his time, to build it as a summer residence by the sea in 1838. Burtons previous creations included the Arch on Constitution Hill. It is doubtful that Lord Ashburton really needed another house - he had three already - but as a retreat from the pressures of his busy life it was perfect. The location must have been idyllic. 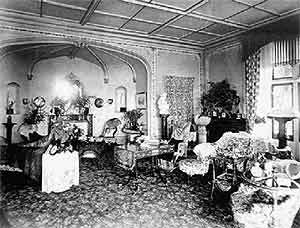 Stokes Bay Road was probably little more than a track, giving the house a garden effectively reaching down to the sea. 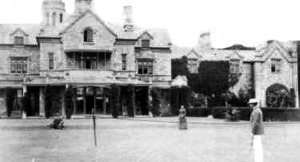 It certainly seems that these early days represent Bay House in its prime, perfectly performing the function for which it was built - a house of leisure and gentle entertainment. John Croker, a friend of Lord Ashburton, was so impressed that in 1842 he was persuaded by Lord Ashburton to buy land next to Bay House and build his own home there. 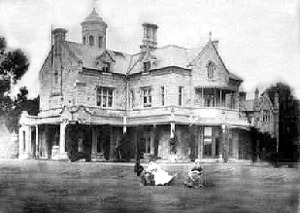 This was Alverbank House, later, of course, to become the Alverbank Hotel. The grounds of Stanley Park surrounding the school were extremely popular with pupils, who used them for recreational purposes after lessons. My own fascination with wildlife was stimulated by watching the wood pigeons that lived there. The Admiralty are about to take a lease of Lord Ashburton's mansion and grounds on the shore of Stoke's Bay, which have recently been purchased by the War Department. It is the intention of the Admiralty, when the house and grounds are handed over to them, to fit the mansion up as a college for naval cadets. 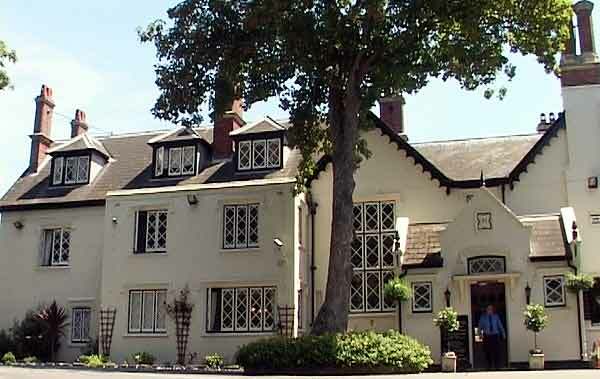 The mansion is situated at the western end of Stoke's Bay, immediately opposite the Palace of Osborne and the lawn extends to within fifty yards of high-water mark. The approach to the house is by a handsome drive with Gothic lodges and entrance-gates. A flight of steps lead to the porch, which gives entry to a noble hall, right and left of which are rooms of unusual size and height, admirably adapted for mess and schoolrooms, lecture-hall, and library. 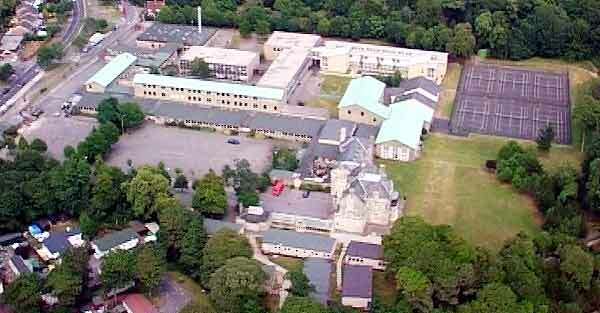 The upper storey contains thirty bedrooms capable of giving accommodation at once to one hundred cadets. A large garden, which extends from the back of the house, would be amply sufficient to supply the establishment all the year round with fruit and vegetables, while a ten-acre field adjacent to the lawn would furnish a capital playground. Forty acres of land altogether immediately surround the house. The shingle beach in front of the mansion affords a capital spot for the cadets to haul and stow their light pulling gigs, while beyond low-water mark the nature of the ground will afford an anchorage where large sailing-boats can be moored. The sleeping accommodation, being at present limited to 100 boys, would, of course, not be sufficient for a naval college where there is an average of two hundred cadets; but a wing could be added at little expense, and this addition would leave nothing to be desired in the mansion and estate. It would he contiguous to a Government dockyard; would he sufficiently distant, being two miles from Gosport, from any town to protect the pupils from the temptations thrown in the way of youths in a populous neighbourhood; and would be situated on a dry, gravely soil, with a southerly aspect, and near enough to the beach to have ready access to boats and sea-going tenders. " Prince Alfred Ernest, Duke of Edinburgh and Queen Victoria's second son went to the academy, and stayed at Alverbank House whilst he was studying there. Edward Burney was 56 when he moved into Bay House. He had previously taught at Burneys Royal Academy at Clarence Square in Gosport, which had been established in 1791 as a boarding school for naval and military pupils by the Rev William Burney. Life at the Clarence Square Academy had been hard. separating the hands causes the button to revolve. Upon this design, and by substituting a jagged disk of slate for the button, the senior 'Bull-dogs' (we were all called 'Burney's bull-dogs') constructed a very simple instrument of torture. One big boy spun the whirligig, while another held the small boy's palm till the sharp slate-edge gashed it. The wound was severe. For many years a long white cicatrice recorded the fact in my right hand. The ordeal was, I fancy, unique - a prerogative of the naval 'bull-dogs.' The other torture was, in those days, not unknown to public schools. It was to hold a boy's back and breech as near to a hot fire as his clothes would bear without burning." In 1892, the house passed to Col. Francis Sloane-Stanley, a keen yachtsman, and very well connected, being a friend of the Prince of Wales, later to become King Edward VII. He had had the 103 ton cutter Formosa built a few years earlier, and apparently raced it successfully before selling it to the Prince of Wales who went on to win the Queens Cup in it in 1882. They must have remained close friends, as there are stories of the Prince coming across from Osborne House, and being carried up the beach on piggy-back by his staff. In 1943 the house was sold to Gosport Borough Council, and the 17 acres of parkland were donated to the people of the borough. This initially meant a dark but important period in the houses history, as it was a base for the Royal Engineers during the war. 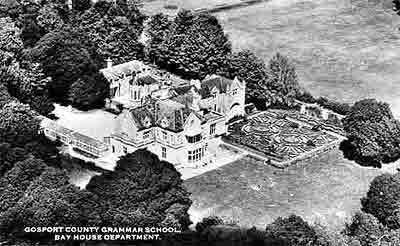 However, having done its bit for the war effort the house continued in the hands of the council, and in 1949 began its period as one of the scattered sites of Gosport County Grammar School. One must assume that the war effort had taken its toll on the lovely old building, as it was described in 1949 as 'shabby and in some places almost decrepit'. This, of course, bought new changes to the house and grounds. The building was vastly extended to facilitate its new role. Whether the new buildings sit in harmony with the old is a matter for debate, although it would, of course, have been hopelessly expensive to try and copy the original style and quality of building. One wonders what use the old house would have found if it had not been converted into a school, or indeed if it would have survived at all. It seems ironic that having survived for so many years, and through the wars, the end of Bay House so nearly came in November 1984. A fire tore through the tower, causing extensive damage. To the credit of the Council, the renovation of the house was thorough and sympathetic, to the extent that it was given an award in recognition of its efforts by the local historical society. Whatever one remembers of ones school years, and whether those memories be good or bad, the elegance and grandeur of the old house are indisputable. No longer is it a place of peaceful and genteel leisure, but its working life has ensured its survival. Now no longer a Grammar School but boasting a sixth form college, it carries on a long tradition of learning and the pursuit of excellence. A giant squid's eye is the largest of any animal's, exceeding 15 inches in diameter. The shoestring was invented in England in 1790. Prior to this time, all shoes were fastened with buckles.